Lent Day 16 The more you think you are getting it right, the more wrong you are. Sometimes after I pray or when I look back on where I have come from, I feel something close to pride. Pride for being the better person he made me, pride for making the time to pray, pride for being better at obeying him. This shows the trap we must avoid, simply doing right does not make us righteous. Pride in basic Christianity? In fact at that precise moment. That is when I go the most wrong, the furthest from his path. On social media you see people so certain they have the faith , the correct message, they have the way forward. This very certainty is evidence of their error. I see people making up their theories on how god interacts, how he is a god of chance, how he cant do this etc. They question his wisdom, his action,inaction, his righteousness etc. The common thread is pride. The greatest sin, the hardest to avoid. 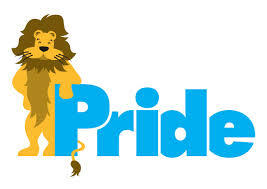 Pride says, I know best, when he knows best. How many times do you hear the latest version of society dictating the way we should act, think, feel? Actually our ordinance comes from higher than the politically correct. The Pharisees were certain they were correct. The had built ivory towers of respect from their fellow man. One of the most common failures of listening is having the answer before the speaker has finished. That means we think our answer is best. Our pride means we stop listening. Our heart closes before we hear the full story. Our heart closes because “we would never do that”. I would never do that, I am above, I see you as wrong, lesser, lower, more of a sinner than me. The platform for holding on to the lead weight of anger. Once you lose the ability to see yourself as anything but the biggest sinner around, all of those that sin against you seem less bad than you? This disease has been around since day one. Paul wrote to the collosians for the same reason. The church in collosi had moved to Gnosticism, which was christian like in some facile ways, but the body could do what it wanted. While we thought ourselves still pure. We know best, we can chop off the bits he asks of us and still make the narrow gate. When we see anger, bitterness, brutality we judge god, we ask him why? Some lessen faith, some call him weak, or bad, or uncaring, absent, careless. Only a thing with pride as big as a mountain would judge the thing that created us. So in this period of lent, when we come to him, we must see ourselves as the sinners we are, listened to through grace, and love. Borne with patience, giving back only a very small part of all he gave to us. Open only to his voice, and without pride. How do I know this post is even HALF right? It leans as best it can on the only source we have for showing how to come to god justified, and as righteous as we can be. Poor means humble, those that see themselves and know themselves to be poor in spirit, without pride, without question, without knowledge, but saved by grace. Then we may learn, just a little more of how fallen we are.